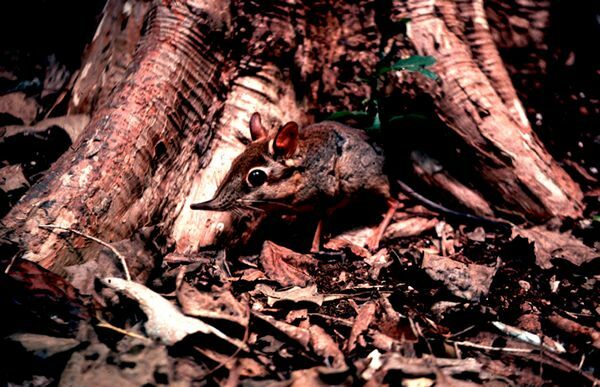 Click on images for enlargement. 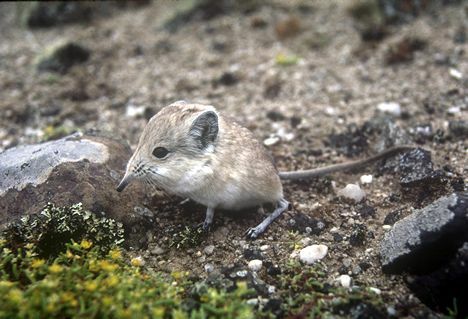 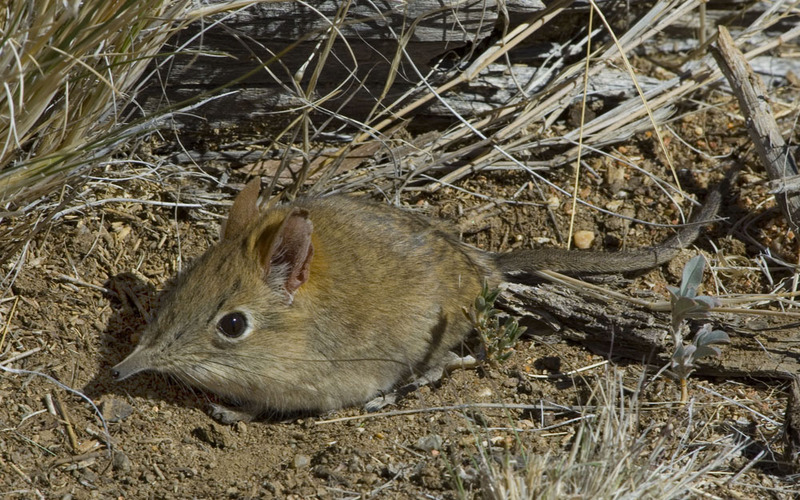 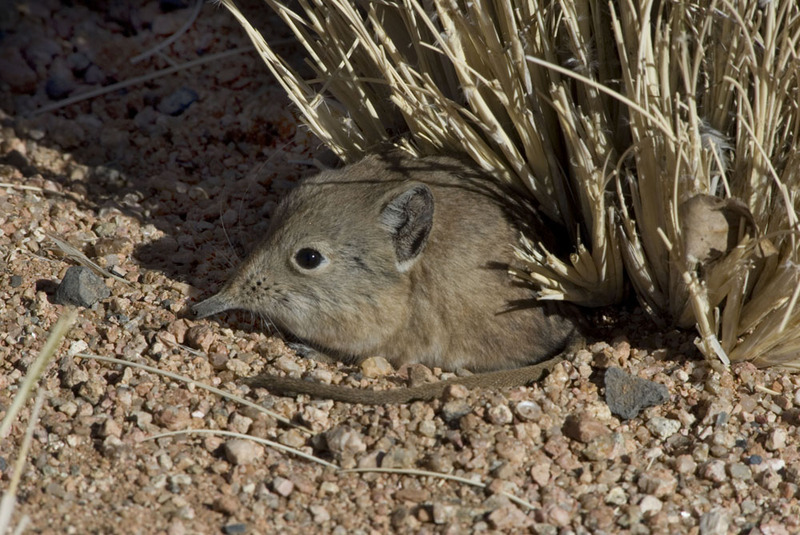 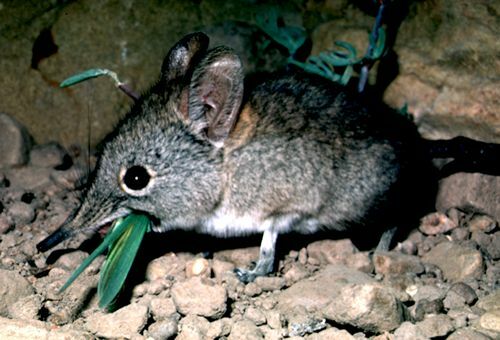 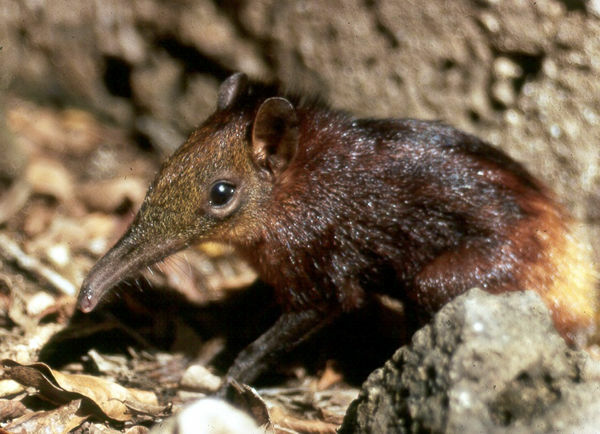 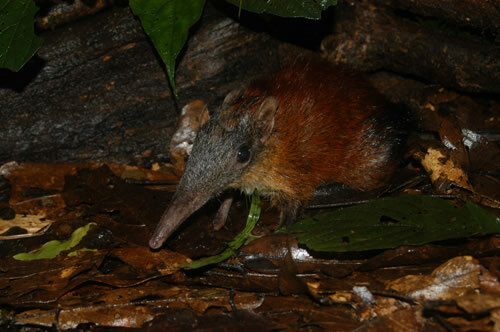 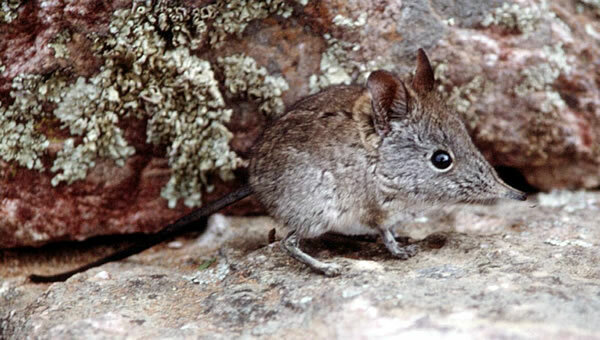 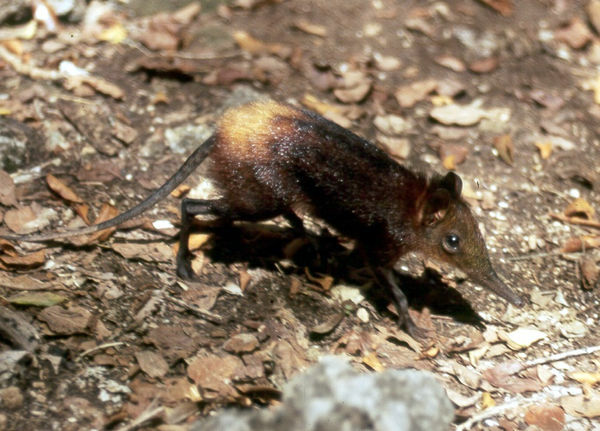 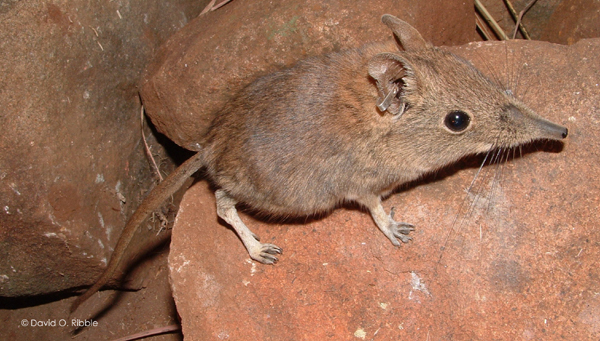 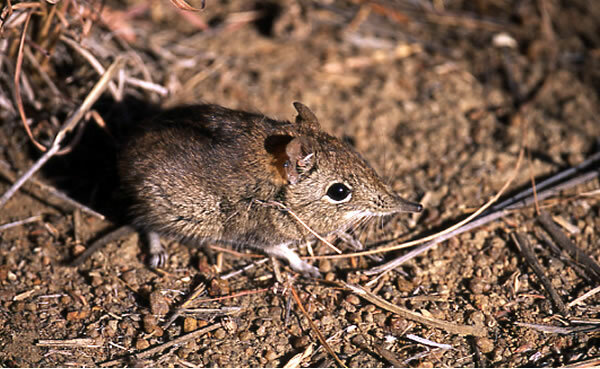 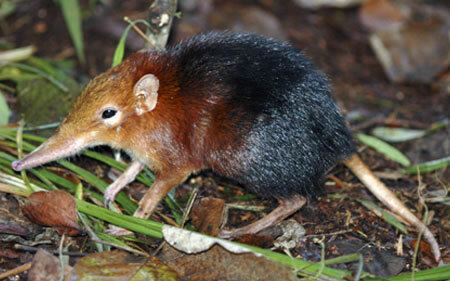 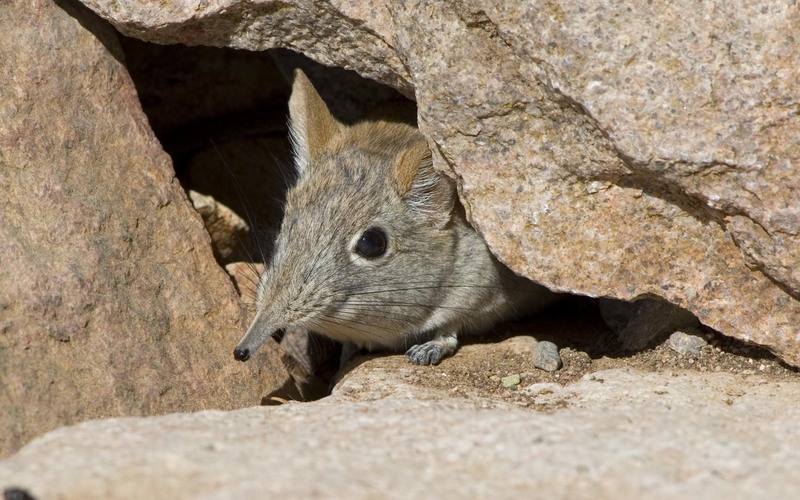 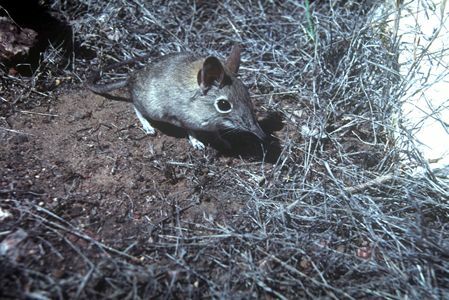 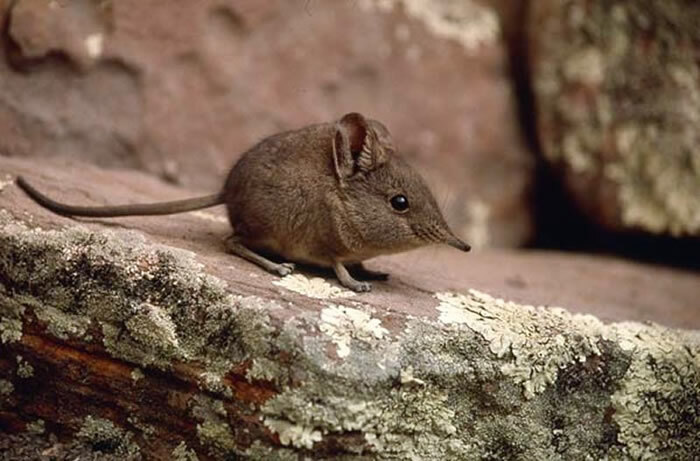 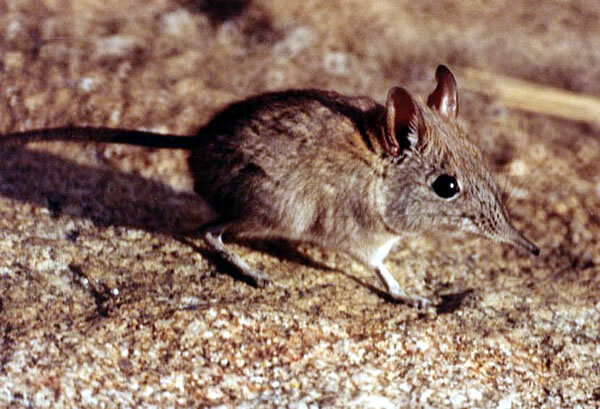 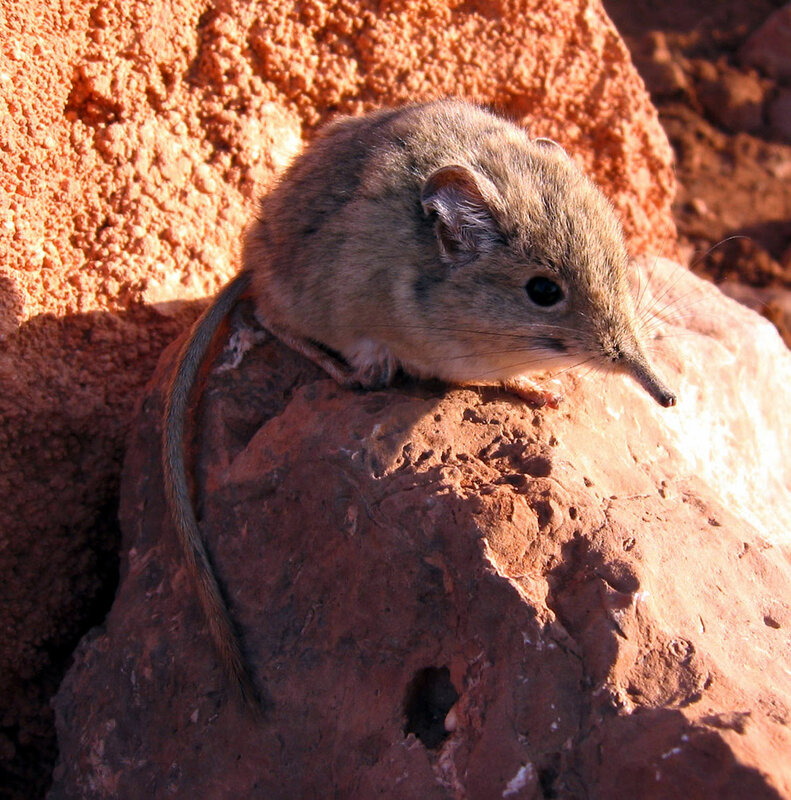 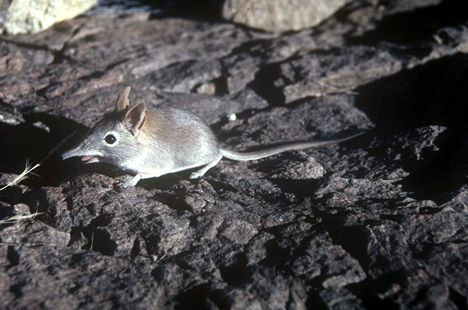 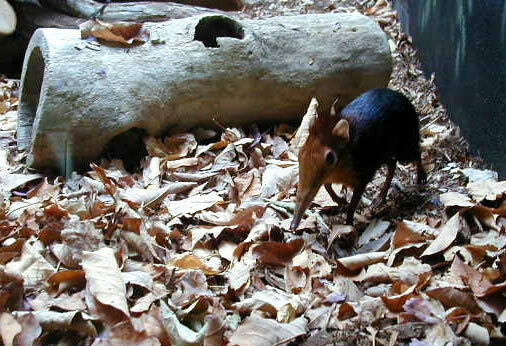 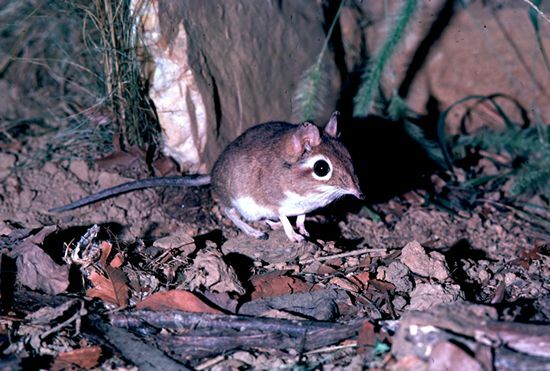 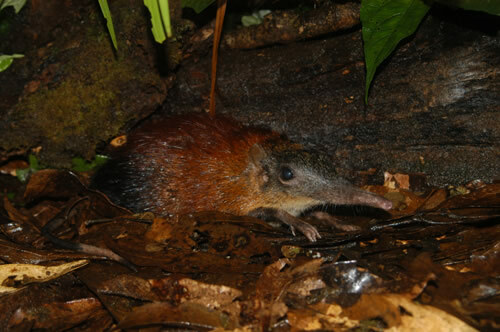 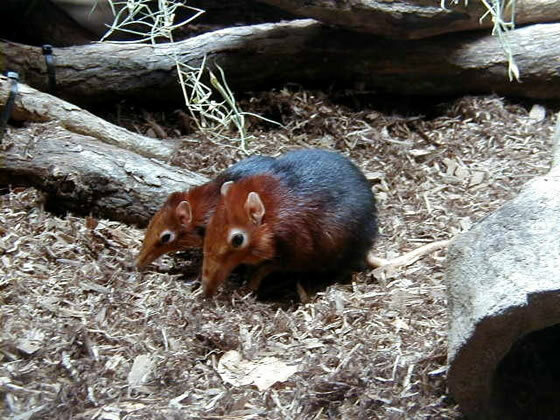 Click here to see the gallery of photos for the newly discovered Gray Faced Sengi. 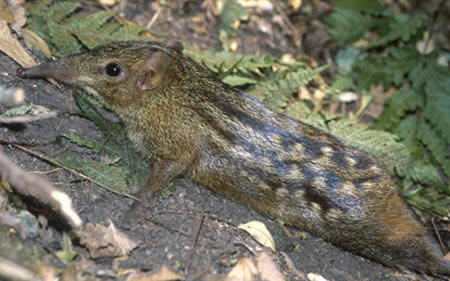 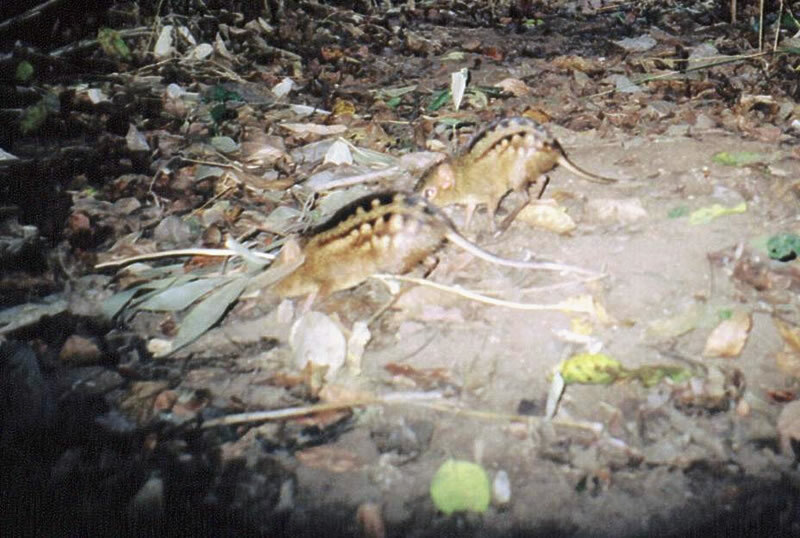 Camera trap image (Udzungwa Mountains, Tanzania), possibly of a female in estrus followed by male. Mareja Community Reserve, Pemba, Cabo Delgado Province, Mozambique. 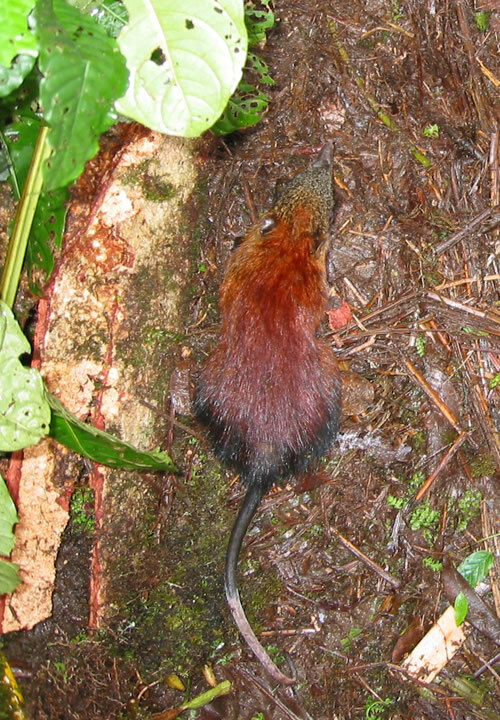 16 June 2011. 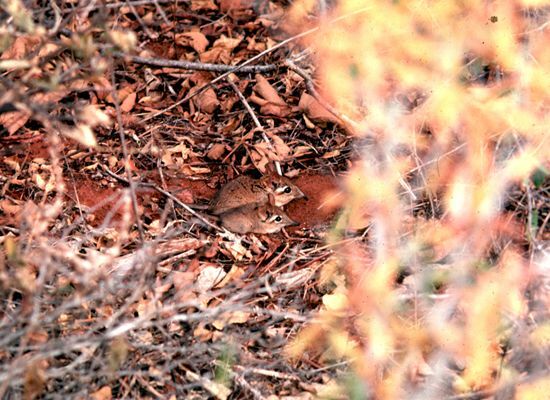 Mother and young resting on trail through leaf litter. 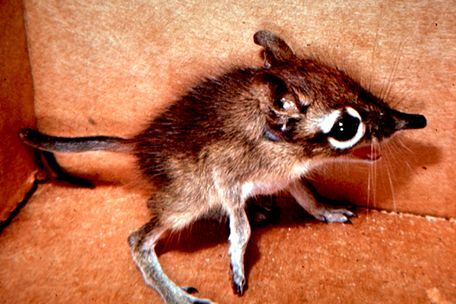 Neonate - one day old.